[News] Kingdom Wars is Almost Here! The War between Kingdoms will begin this month! Who will triumph on this vast battlefield? Compete for the glory of your Kingdom to prove your might! 1.Only Kingdoms that have been open for more than 90 days may participate in the Kingdom Wars. The Kingdom Wars lasts for one day. 2. Migration Scrolls can’t be used during the Kingdom Wars. Players in participating Kingdoms may only use Random Relocators or Relocators to travel to other Kingdoms during the Kingdom Wars. 3. Players can earn Solo, Guild, and Kingdom Points during the Kingdom Wars. Points can be obtained by occupying Wonders, killing soldiers of rival Kingdoms, and hunting monsters in rival Kingdoms. a. The Solo event has three checkpoints. Reach a checkpoint to win rewards. b. The Guild event also has three checkpoints. Guild points will be shared by all players in the same Guild. All Guild members will win rewards when a checkpoint is reached. c. Kingdom points will be shared by all players in the same Kingdom. All rewards will be issued after the event ends. 4. The day after the Kingdom Wars ends, a number of Gem Lodes will appear in all participating Kingdoms. Higher level Gem Lodes will appear in Kingdoms that received a higher Kingdom Rank. Guild members from different Kingdoms can’t attack or reinforce each other. They also can’t participate in each other’s rallies. 1.Players can only temporarily stay in rival Kingdoms for 4 hours. They will be instantly transported back to their home Kingdom after this battle period ends. Who will be the mightiest Lord of them all? Only time will tell. Go forth and join the fight! Yay, awesome so cant wait time to save my shields. 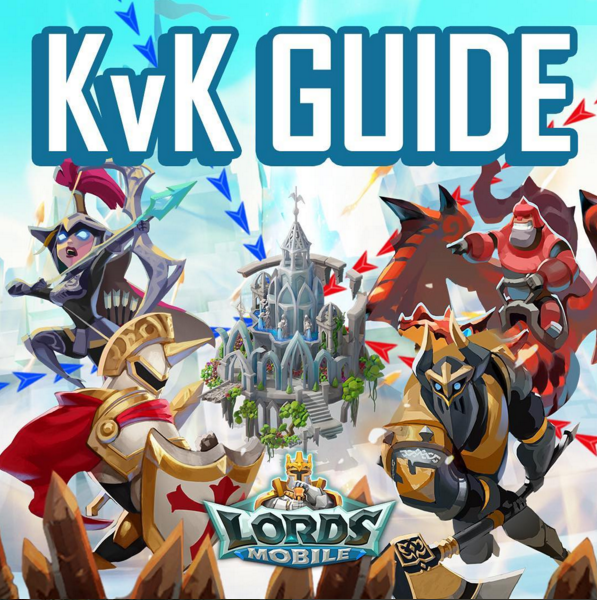 If guild is in the kingdom 4 and its members are in the kingdom 3, in which the kingdom will be charged points Guild for participation in the kvk ? Rules state members will be transported back to their home kingdom. If I'm originally from K9 and migrated to K1 And participate in KvK which "home" kingdom am I transported back to? K9 or K1? Kingdom 1 as that's your current home kingdom. How can we use rolecators to go to other kingdom without using the migration scroll?? Do we need to enter our target kingdom first and use the random relocate? And also if you are back from your kingdom, will your coords be the same from your previous coords before you relocate? or it will be random? Hello! May I know exactly until what Kingdom can participate? I have read the rules but I want to know which kingdoms specifically. Thank you. Dude I know how to read. I'm asking for the "specific" kingdom, it means the number of the kingdoms(i.e. Kingdoms 1 ~ 15). I'm confused if the meaning of "open for more than 90 days" is: a)The Kingdom was created more than 90 days already or b)The protection of the kingdom was removed for more than 90 days already. More deets tmrw, hopefully they release date and kingdom battles.